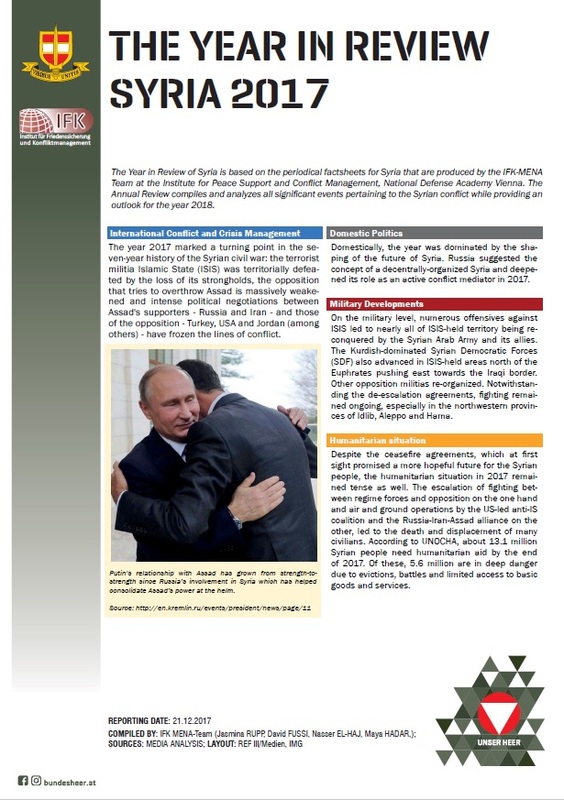 The "Year in Review 2017" report delivers analytical and informative insights into events occurring in Syria and Iraq over the course of twelve months. The analysis revolves around the themes: International conflict and crisis management; domestic politics; military developments; and the humanitarian situation in each country and also includes a forecast for 2018. Furthermore, the publication contains selected maps indicating the territorial control in Syria and Iraq.